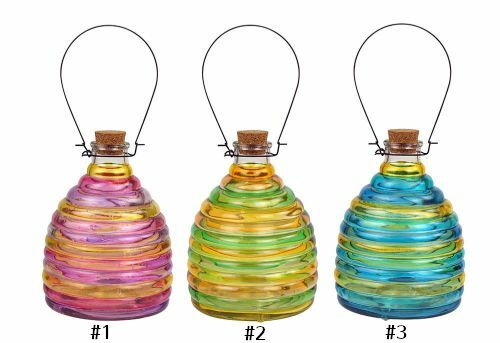 Our colorful Wasp Traps are a beautiful, all natural way to control wasps. Hang outdoors where wasps are a nuisance, and fill the reservoir with sugar water such as coke, and wait for the wasps to find their way in! the ribbed glass design features an open bottom that attracts wasps in, but makes it impossible for them to get out. A decorative and useful gem that not only make outside safer but prettier.